Do a quick scan of your body now – are you clenching your jaw? Are your shoulders tensed up around your ears? 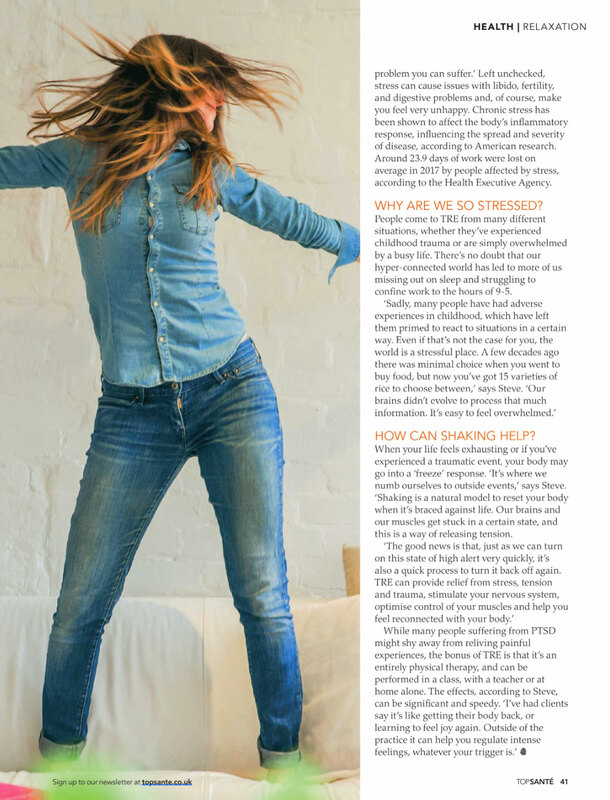 If you carry stress in your tightened muscles without really noticing, you’re not alone. 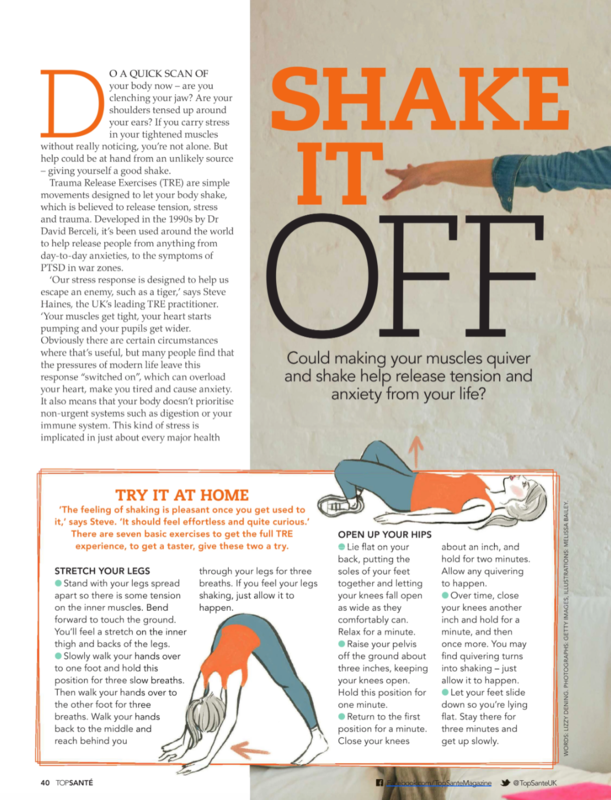 But help could be at hand from an unlikely source – giving yourself a good shake. Trauma Release Exercises (TRE) are simple movements designed to let your body shake, which is believed to release tension, stress and trauma. Developed in the 1990s by Dr David Berceli, it’s been used around the world to help release people from anything from day-to-day anxieties, to the symptoms of PTSD in war zones. Left unchecked, stress can cause issues with libido, fertility, and digestive problems and, of course, make you feel very unhappy. Chronic stress has been shown to affect the body‘s inflammatory response, influencing the spread and severity of disease, according to American research. Around 23.9 days of work were lost on average in 2017 by people affected by stress, according to the Health Executive Agency. People come to TRE from many different situations, whether they’ve experienced childhood trauma or are simply overwhelmed by a busy life. There’s no doubt that our hyper-connected world has led to more of us missing out on sleep and struggling to confine work to the hours of 9-5. When your life feels exhausting or if you’ve experienced a traumatic event, your body may go into a ‘freeze’ response. ‘It’s where we numb ourselves to outside events,’ says Steve. ‘Shaking is a natural model to reset your body when it’s braced against life. Our brains and our muscles get stuck in a certain state, and this is a way of releasing tension.